Chhaya Maartandsambhootam Tam Namami Shanaishcharam. Light Gingely/Mustard or Nalla Yennai/til oil(sesame) earthen lamps in Shani temple on Saturday. Distribute Curd Rice made at home to the poor and the devotees in Shani Mandir or temple on Saturdays. Donate Black Urad dal every Saturday. Visit a Shani Temple every Saturday and put tel (oil) on Shanidev's idol. Donate Urad Jalebi or Kachori to a poor or a physically challenged person on Saturdays. 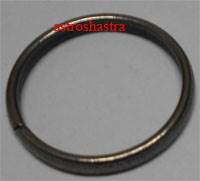 Put on an Black Horse Shoe iron ring in the middle finger of right hand. Wear Black Horse Shoe Kada on your right hand. Put oil and sindoor on Lord Hanuman's idol on Saturdays and pray to Shanidev. Recite Aum Hum Hanumate Namah (ॐ हं हनुमते नमः) with the help of a mala every Saturday. Tie some black Til in a coarse black cloth and burn it in Til (sesame) oil in a diya (earthern lamp) on a Saturday in a Shani Dev Temple. Donate Chappals (leather), blankets and black blouse pieces to the poor on a Saturday. Feed lepers and the handicapped on a Saturday. Do not buy any metal or oil on a Saturday. Install the Horse shoe at home. 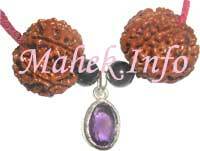 Wear 7 Mukhi rudraksha in black thread around your neck. 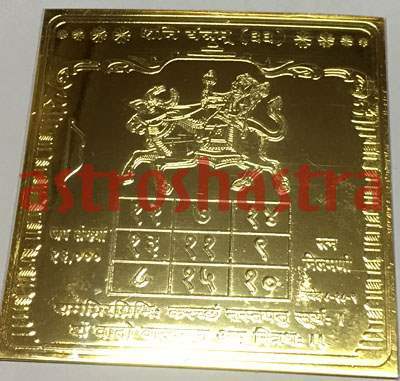 Read the Dashrath Krit Shani Stotram. Feed crows (the vahan or vehicle of Lord Shanidev) with cooked rice every day. Offer prayers to Lord Shiva.by puja of Parad Shiva Linga .